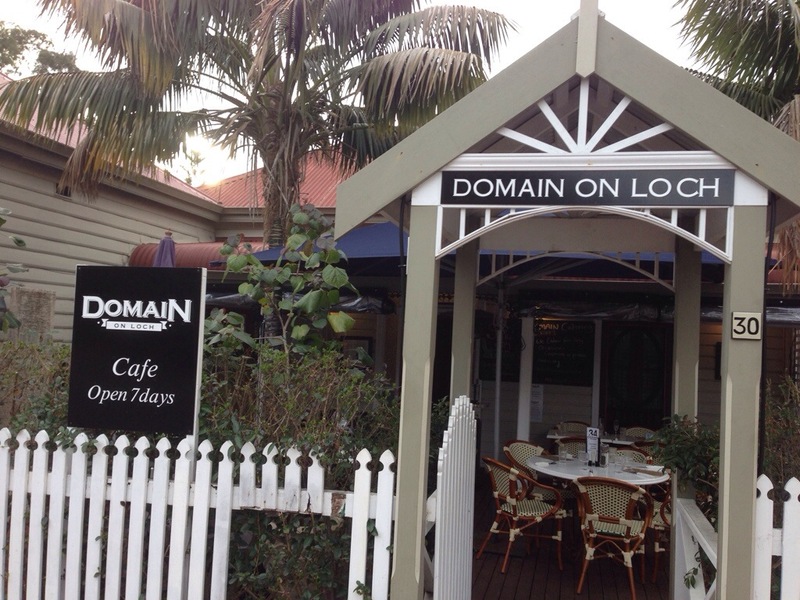 You’ll find Domain on Loch in pleasant Suburbia in Nedlands where it occupies the quiet corner of Loch and Bedford St.
You walk into a lovely courtyard with warm and friendly staff ready to greet and seat you. 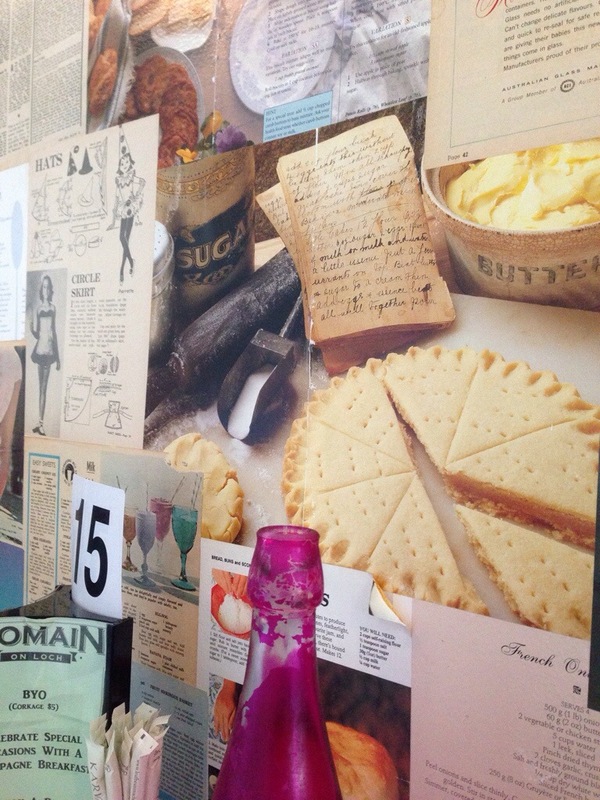 We decided to sit inside to avoid the weather, its nice and homely and the walls scattered with recipes and old magazine articles that make you feel nostalgic, as if you were a child back in your grandmas kitchen. We ordered our usual lattes. 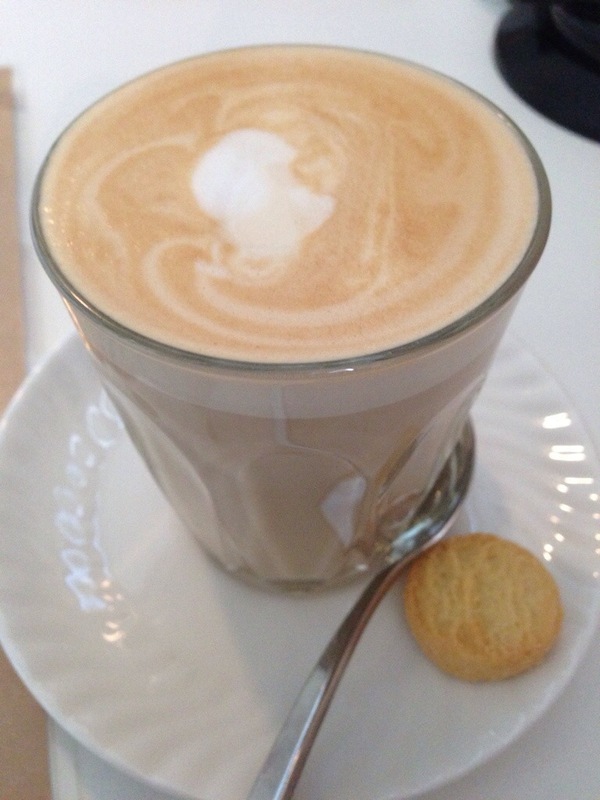 The coffee was mellow and a bit weak but creamy and with a nice flavour nonetheless. 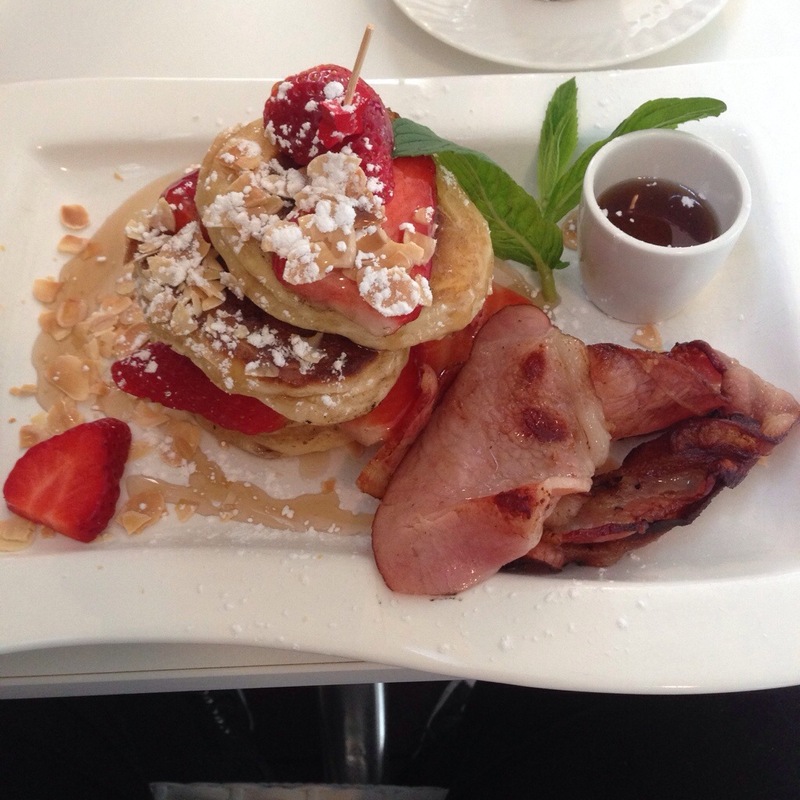 We started with pancakes, served with fresh strawberry, maple syrup and silvered almond. The fresh strawberries were great and the almonds added a nice textural crunch. The pancakes were okay but a little dense. This was just nice home style food, great to satisfy a sweet tooth. 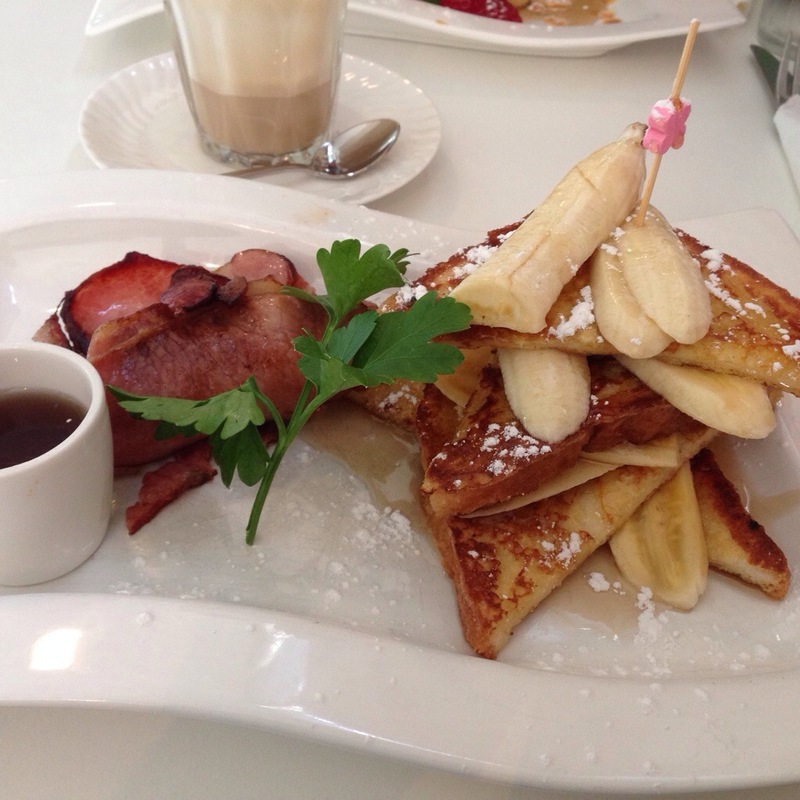 Unsurprisingly we also went for french toast with banana, maple syrup and bacon. The presentation was unusual with a toothpick stacking the toast and banana. The toast was nicely done, a good sweetness and not soggy, we also loved being given the extra maple syrup to serve ourselves. The ends were left on the banana though which wasn’t a good oversight. This dish probably needed a textural element like the pancakes had, but was a decent meal. Domain on Loch is a cheap and homely eatery, go for the simply good food and service that makes you feel like you’re a part of the family.